Can Apple cure medical research? 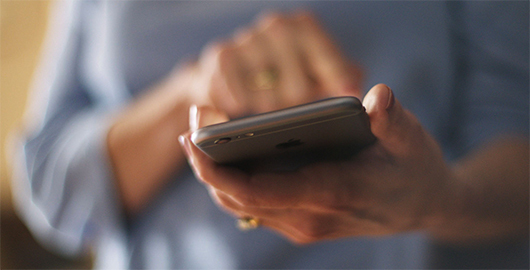 Apple recently announced ResearchKit, which they claim will transform healthcare. Wired and The Verge have their doubts but others are reporting progress. John Borthwick, CEO of Betaworks writes about how we are augmenting ourselves with technology, both physically and intellectually. 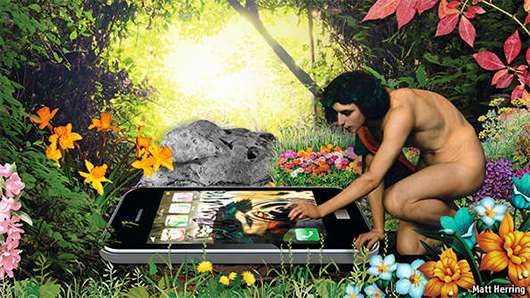 The Economist are heralding the smartphone as the “defining technology of our age”. They take a look at how we got here and where we’re headed. Companies like Airbnb and Uber are dominating markets by focusing on being the interface between consumers and service providers. Intercom's Emmet Connolly rationalises a phrase we’ve all heard (and used) a thousand times. Embracing contextual UI and abandoning skeuomorphism Ustwo prototype UI for the cars of tomorrow. A lot of research and thought has gone into this and it’s fantastic to see a redesign go beyond the surface. Designer Matt Sundstrom suggests five ideas for the apple watch, many of which utilise a new tool at our disposal: haptic feedback. No strangers to PDW, Tympanus are back with another showcase of how to use SVG filters to add ‘gooeyness’ to your designs. This public Trello board breaks down the five phases of a design sprint. For an intro to this approach, check out this quick video of Google Ventures’ sprint with Gimlet Media to see how prototyping helped them decide what to build. Interviewing users is a useful skill for anyone working on digital products. This excerpt from Erika Hall’s Just Enough Research is a handy guide to good interviews. Want more? We’ve added an archive with back issues to our site. Enjoy!